Human activity has numerous impacts on biodiversity, but none is more significant than food production. Everything we eat represents a sacrifice: a sacrifice of energy, water and often wildlife habitat to grow and produce our food. 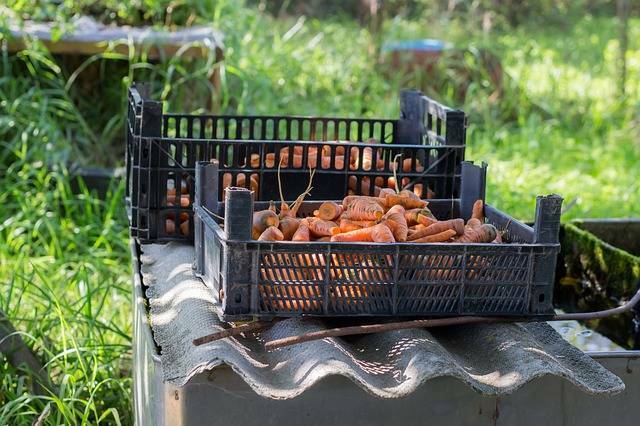 When food is wasted, everything that goes into growing and transporting food is wasted. That means reducing the amount of food we waste can save wildlife and their habitats. To help ensure we make the best, most efficient use of our natural resources, World Wildlife Fund (WWF) has forged a diverse mix of alliances, including with The Rockefeller Foundation, which has embarked on its own $130 million global initiative to cut food waste and loss. In our first brainstorming sessions, WWF and the foundation explored ways to reduce food waste across consumer facing businesses. Though we could have chosen to work with individual businesses across a mix of industries, we realized that honing our efforts on a specific sector could create a model for replicating in others. We set our sights on the hospitality industry, which serves approximately $35 billion worth of food and drinks annually and represents an incredible opportunity to gain insight—from chefs, servers, managers and customers (think of that last wedding you attended)—to how food is procured, prepared and served. Next, we sought to find a champion that could help us establish trust within the industry and give us the freedom to experiment. The American Hotel and Lodging Association (AHLA) welcomed our proposed collaboration and opened the door. Sometimes organized groups are skeptical and unnerved by the introduction of new people and new ideas, but AHLA and its members took the risk and opened themselves to the unknown. Finally, we needed innovators. AHLA arranged for us to pitch a group of U.S. hotel brands and independent operators on our idea to lead food waste pilot projects across the country. These pilots helped illuminate when, where and why food is wasted, and what interventions were most effective in reducing waste. Diverse group meetings can often be derailed by one loud voice fearing risk. Luckily, where many might have seen too big a risk, this group saw opportunity. Over the next seven months, WWF worked with a dozen hotels across the country to explore how to solve food waste in the hospitality sector, both operationally and culturally. We collaborated with design firms, leadership consultants and industry experts to develop scalable solutions that the rest of the sector could adopt. This diversity of input was invaluable. So what comes next? On November 13 in New York, we will deliver a toolkit and resources to the industry that will inspire other brands and properties to accept the food waste reduction challenge. In much the same way that our planet relies on biodiversity, the success of a project to quickly solve an overwhelming problem relies on the diversity of partners working together to solve it. With this thriving diversity – including the vision of The Rockefeller Foundation, the breadth and depth of AHLA’s relationships, and most importantly the leadership at individual hotels – we can accelerate solutions to our most critical issues. Let us go forth and embrace diversity in all its forms. Pete Pearson is the Director of Food Waste at World Wildlife Fund.